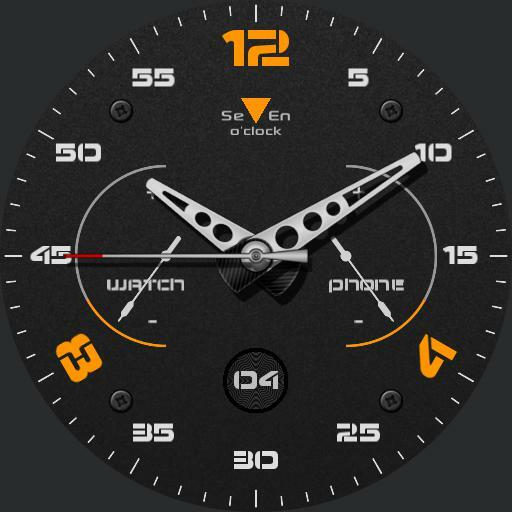 SevEn 07 watchface. Central tap for brightness adjustment, tap on 6 and 12 for dimmed adjustment, burn in protection insert.Tab 9 for change color. Second hand indicated dimmed battery level.